The War Museum of Askifou is located deep in the mountains of Crete. 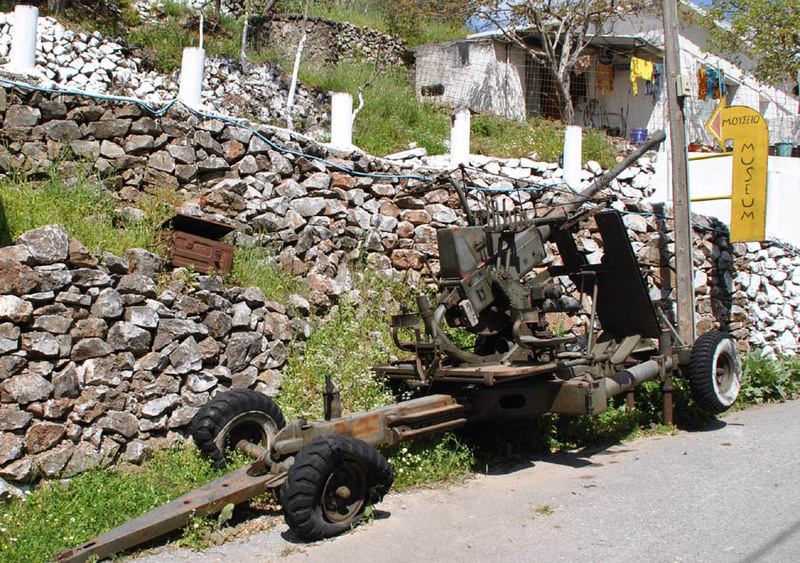 The village of Askifou is located 50 kilometres away from Hania, in an altitude of 730 meters. 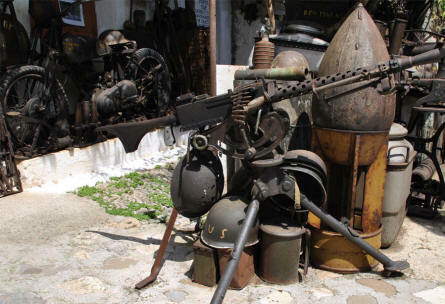 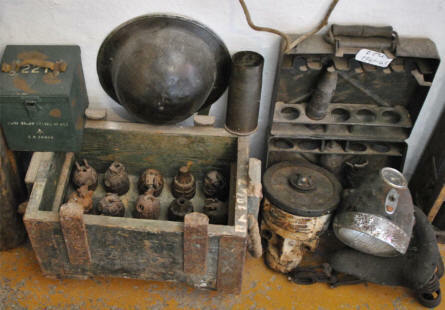 The museum is a private collection of World War II equipment and items found on Crete. Most of the items are not restored in any way, but they are displayed as they were found. A very personal museum - that is a bit out of the ordinary. 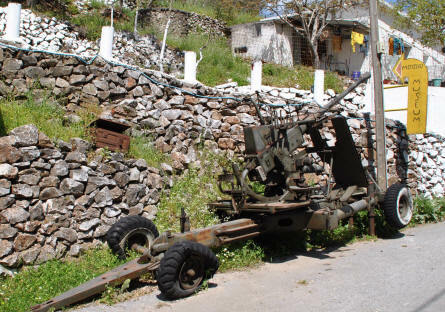 A World War II anti-aircraft gun displayed on the road outside the War Museum of Askifou on Crete. 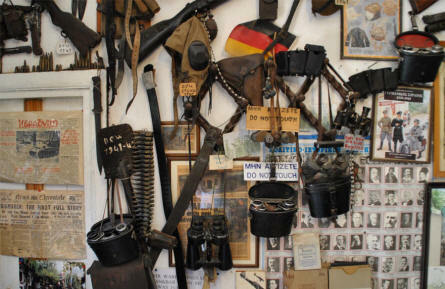 Some of the many World War II items displayed at the War Museum of Askifou on Crete. 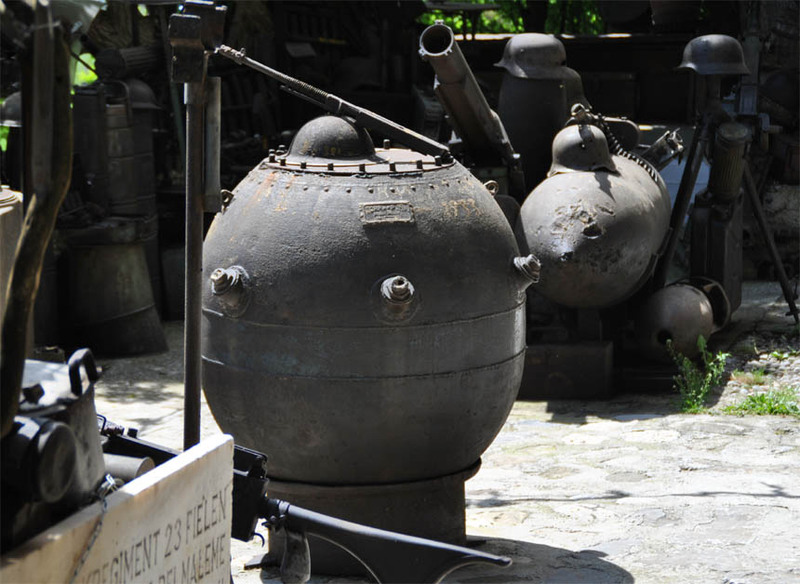 A World War II sea mine displayed at the War Museum of Askifou on Crete. 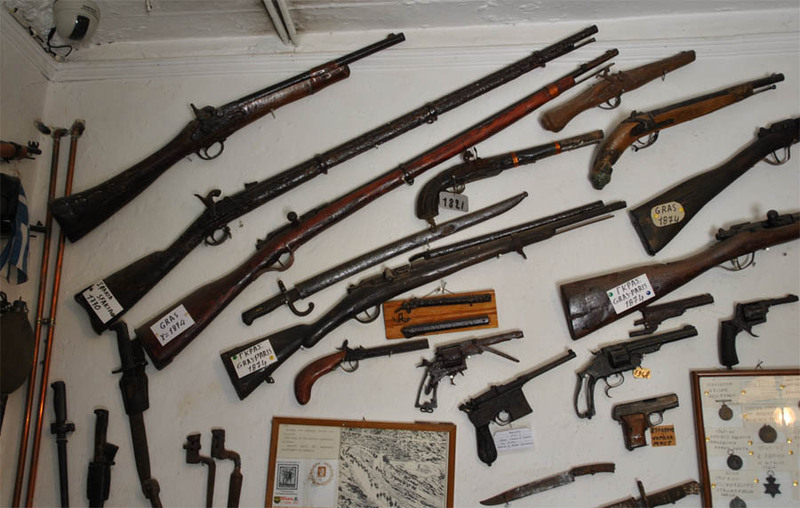 Some of the many World War II weapons displayed at the War Museum of Askifou on Crete. 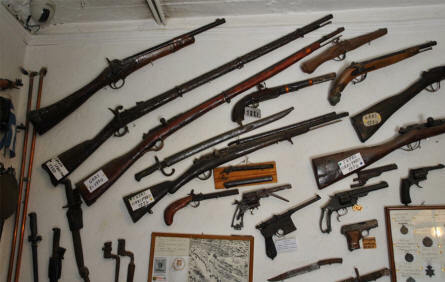 Some of the many World War II items and weapons displayed at the War Museum of Askifou on Crete.